Home / breaking news / 191-Year-Old Woman Discovered in Nigeria! Oldest Living Person In The World! The Guinness Book of Records recognizes 112-year-old Yasutaro Koide from Japan as the oldest person alive, but they just might have to amend the books. 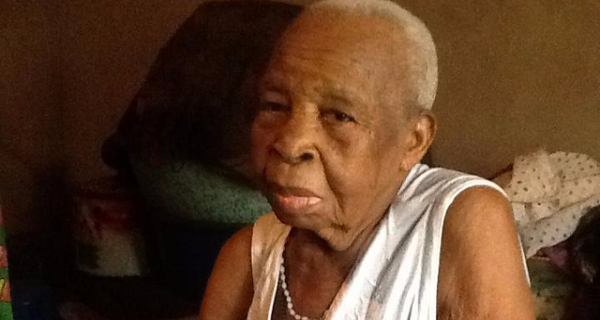 Recently, photos have surfaced of Mama Esifiho, a 191-year-old woman living in Nigeria. she is the oldest woman alive anywhere. She resides in Isoko, countryside community in Delta State of Nigeria that was founded in the 18th century. According to health-related websites, Isoko’s main crop, the cassava root, may explain the woman’s long lifespan and continued heath.